During the midday hours, hundreds of Syrian rioters infiltrated the Israeli-Syrian border into the village Majdal Shams, and in the center of the village violently rioted against IDF forces. In attempt to turn the rioters back to Syria, forces fired selectively towards rioters who were targeting security infrastructure and some were injured as a result. Additionally, along the Lebanese border, several rioters attempted to breach the border fence and to infiltrate into Israeli territory. IDF forces responded by firing warning shots. Currently, IDF forces and Israel Police forces are operating to restore order in these locations. In these incidents, three IDF officers and ten IDF soldiers were all injured. The IDF emphasizes that attempts to damage property or cause harm to security forces will be responded to. 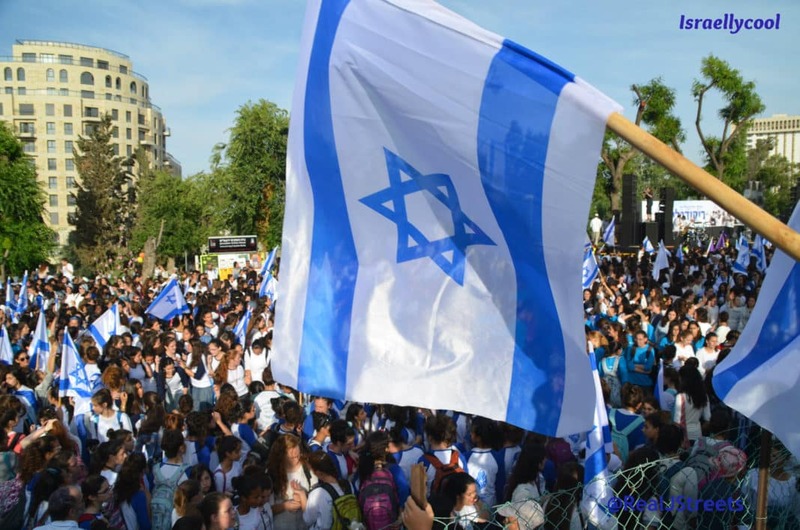 The IDF sees the governments of Syria and Lebanon as responsible for any violence or provocation towards Israel that emanates from their respective territories. Multiple violent riots broke out in several locations throughout the West Bank. These riots included rock hurling, the throwing of fire bombs and the burning of tires. South of Ramallah, in Qalandiya, approximately 600 Palestinians are violently rioting. During this riot, rocks were hurled, as were flares, at security forces who have been responding with riot dispersal means. Furthermore, throughout the day there have been several incidents during which rioters have been seen hiding behind ambulances for cover while hurling rocks at security forces. IDF forces have been responding with riot dispersal means to contain these riots and thus far have been persistent in their efforts. In the past several hours, riots have taken place in several sites in the Gaza Strip, the most prominent of which is adjacent to the Erez Crossing. 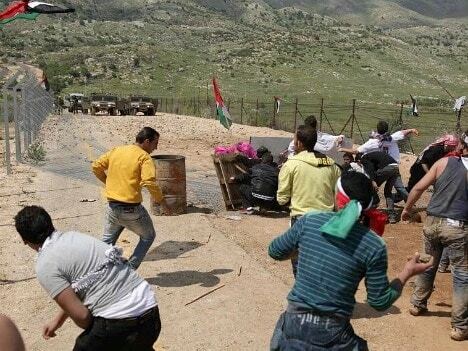 Hundreds of Palestinian rioters are hurling rocks at IDF forces. The rioters arrived at the humanitarian aid crossing and caused damage to its structures. Soldiers fired in a controlled manner in the direction, and towards the legs of the leading rioters, in order to disperse them and prevent them from entering Israeli territory. A number of rioters were injured as a result. In addition, during the afternoon hours IDF forces identified a suspect planting an explosive device along the security fence in the northern Gaza Strip. IDF soldiers fired towards the suspects, identifying a hit. Terrorist organizations are constantly operating with the objective to harm Israeli civilians and IDF soldiers, and have previously attempted to execute terrorist activities near the various crossings carrying humanitarian aid into Gaza.